(1) Within these criteria, the term "study abroad, etc." refers to the following purposes of travel. ① Overseas study (Overseas study that requires the acquisition of a visa). ② Travel for the purpose of language study (that does not require the acquisition of a visa). ④ Travel for the purpose of conducting research and training at an educational institution. ⑤ Travel for the purpose of international cultural exchange or taking part in volunteer activities. ⑥ Travel for the purpose of living overseas. ⑦ Other travel purposes (excluding types of travel involving agencies as stipulated by Travel Agency Law). (2) Within these criteria, the term "program" refers to educational programs and other travel-related services. (3) Within these criteria, the term "overseas institution" refers to educational institutions and other program providers. (4) Within these criteria, the term "business partner" refers to overseas institutions, and any other destination-based business operator, agency, intermediary or representative by proxy. These criteria apply to all intermediaries related to consumers and overseas partners within the study abroad industry. These include representatives of overseas business partners, the transfer of rights acquired from overseas business partners, and consumer representatives of overseas partners. (1) When applying for a contract, consumers should be provided a detailed and accurate written explanation of the areas listed below (If areas are still vague at the time of contract, record undecided points in writing and make sure that consumers are in agreement). Moreover, when the contract details that were previously undecided become fixed, reissue a contract that fully and accurately explains the new points. ① Matters related to transit to and from travel destination, including dates and times of departure and return to Japan. b. Name, address and contact information of program implementer. c. Detailed program content (To prevent misconceptions regarding what is and isn't provided within each program). d. Conditions that could lead to an applicant's rejection or cancellation of a program. ③ Matters related to room and board at destination, including the name’s, addresses and contact information regarding co-habitants. Include the number of people in each room (in cases of home stay, also include information about each family member) and accessory services such as meals. a. The total amount of money to be paid to the business operator and each overseas business partner. c. Breakdown of each cost listed in item 'a' (excluding businesses that individually provide all-inclusive services). In such cases, clearly show exchange rates and how the fees will be distributed among overseas institutions and housing providers. ⑤ In regards to contract modification or cancellation, the information detailed in Section 3 should be clearly explained within the contract. 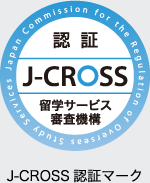 (2) In cases where no intermediaries are used, such as when consumers directly contract with overseas business partners, items ① through ④ of sub-section (1) are unnecessary. (3) When explaining to a consumer the matters detailed in sub-section (1), provide a written explanation of all contractual business partners (overseas representatives, intermediaries, transfers of rights, etc.). (4) In the case that your business is registered as a travel agency, please provide a written explanation of the following points when explaining the matters detailed in sub-section (1). ① If you hold a travel-related contract, divulge its configuration (Recruitment and Travel Planning, Order-Intake Travel Planning, or Travel Logistics). ② If you hold non-travel-related contracts, divulge that handling of security deposits and reimbursable security funds will not be based on Travel Agency Law. ２ Issuance of Contracts, etc. (1) After executing contracts, issue them to consumers as quickly as possible. (2) After executing contracts, make sure that the content detailed within Certification Criteria sub-sections (1) through (3) is included in writing and delivered based on Issuance of Contracts sub-section (1). (1) Conditions regarding contract modification or cancellation (referred to below as "cancellation, etc.") should be clearly written out in the contract. (2) In line with sub-section (1),the following conditions should all be covered within the contract. ① Consumers can request to cancel at any time. However, they may be subject to pay predetermined 'compensation for loss' or a cancellation fee. If this occurs, 'compensation for loss' and cancellation fees must conform to Article 9 of Japanese Consumer Law. ② Within 8 days of executing a contract, consumers may cancel the contract without paying any compensation for loss or cancellation fees (unless departure dates fall within 30 days [off-peak travel times] or 40 days [peak travel times] of contract execution). a. If a consumer declares false information. b. If it is decided that a consumer cannot continue to take part in a program for health or other reasons. c. If a consumer or someone related to a consumer harasses another consumer or disrupts the smooth operation of a program (or if it is highly possible that their participation will disrupt the program). d. If it is decided or highly likely that a program cannot be run due to natural disasters, war or insurrections, transportation-related accidents, labour disputes, government orders and other similar events that the business operators are not responsible for. e. If consumers fail to send necessary program-related documents by pre-determined dates. f. If consumers cannot be contacted or located for a long duration. g. If consumers fail to make payments by pre-determined payment deadlines. (3) Within the contract, clearly explain conditions regarding cancellation policy, including cancellation dates, compensation for loss and cancellation fees (including exchange rates). (1) Honor all payments to overseas partner organizations by predetermined payment deadlines (if deadlines have not been pre-determined, payments should be made by the time a consumer departs Japan). (2) Deliver a document that confirms the consumer's acceptance to their overseas program before their departure date. ① Name, address and contact information of business operator (If legal name and business/brand names are different, include both). ① If a language program operated by a private language school takes place at a university, make sure to clearly state that the program is actually operated by the private language school and not the university. ② If the percentage of Japanese students at a given language school is stated, make sure that seasons and class-levels are accurately accounted for. ③ If payment-based 'home stays' and family activities are mentioned in advertising, be sure to clearly explain conditions, including whether or not family-based activities are included. ④ If it is advertised that a consumer's English level will be improved through interaction with their host family, clearly include details about the host family's language environment. For example, state whether or not the family uses English as their mother tongue. ⑤ For-profit businesses should include their full company names (Include registered terms such as Inc., Ltd., LLC, Association, etc.). ⑥ Unless they are based on objective facts, do not use terms designed to give companies a competitive edge. If terms and phrases such as "the biggest", "No. 1", and "the only company to offer..." are used, make sure that each statement is legitimate. ⑦ Only use phrases such as "Approved by Embassy of..." or "Accredited by the Ministry of..." if the statements are factual. ⑧ If consumer experiences (quotes, etc.) are used in advertising, make sure they are accurate. Moreover, list the month and year in which the consumer participated in the program. ⑨ If security deposits and reimbursable security funds (as designated by Travel Agency Law) are mentioned within advertising, make sure to clearly specify that they only relate to travel contracts. ⑩ Other items. Ex.Do not display any text or claims that goes against the Law for Preventing Unjustifiable Extra or Unexpected Benefit and Misleading Representation. ６ Security of Advanced Payments, etc. (1) Consumers shall not be demanded to make tuition payments until 90 days before their scheduled departure dates (except in cases where early payments are necessary to acquire visas). ① Maintain a sound financial condition (no capital deficits during recent accounting and enough net assets to cover all deficits during the past three years). ② Up until the actual transfer of tuition and other fees to an overseas organization, avoid forms of transaction that involve consumers being demanded to pay expenses. ③ Avoid transaction forms that involve tuition payments being transferred through an intermediary. ④ Take measures to guarantee more than half of total consumer tuition payments, etc. through deposits, trusts, and other security deposit systems. (1) Obey the laws of Japan and all other related countries. (2) Build and operate an internal system with your company to appropriately handle consumer claims. (3) If requested by any organization, be prepared to handle disputes through an ADR (Alternative Dispute Resolution). (1) If a company's business standards are of the same level as the certification criteria specified in Section III, they may be certified even if the handling differs from the methods listed in this document. (2) If an approved company's business practices infringe upon any of the certification criteria listed in Section III, they will be requested to improve their standards. (3) If an approved company's business practices involve a major infringement against the certification criteria in Section III, or if a company fails to act upon a request made based on sub-section (2),we will publicly name the company and de-certify it. This is also true for companies that do not cooperate regarding the investigation process described in the following sub-section (4). (4) To ascertain if certified companies are infringing upon standards (see sub-sections '(2)' and '(3'), we reserve the right to make investigations by requesting necessary documents. (5) If a company is de-certified as specified in sub-section (3), they will be given a probation period during which they will be unable to re-apply for certification.